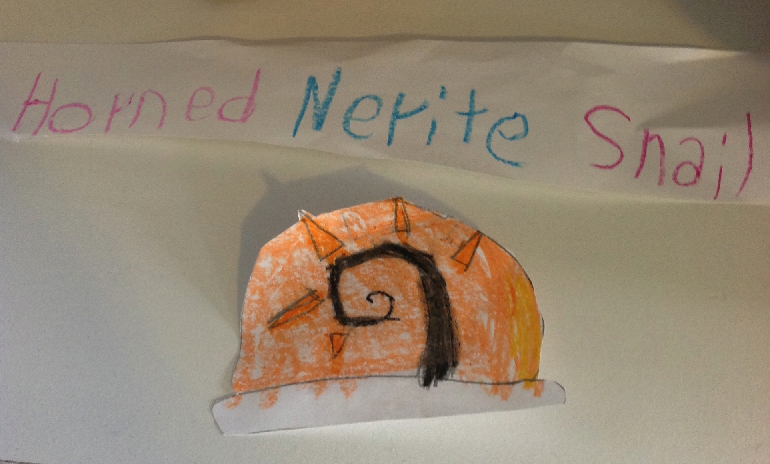 Here’s an unusual project I did over the weekend with my son – a stuffed Horned Nerite Snail. This is a real snail that tends to live in brackish water. My son learned about them from a virtual aquarium game he has, and wanted to make one. Since we had to work with scraps from my stash, our color choices were limited which explained the electric orange color for the shell. It took about an hour to make it. My son did the original design and selected the fabrics. He also drew the face. As a special bonus, he drew the templates and wrote his own directions for the pattern on a very wrinkled piece of newspaper. The templates were too small to actually use, so I made my own with his careful oversight. 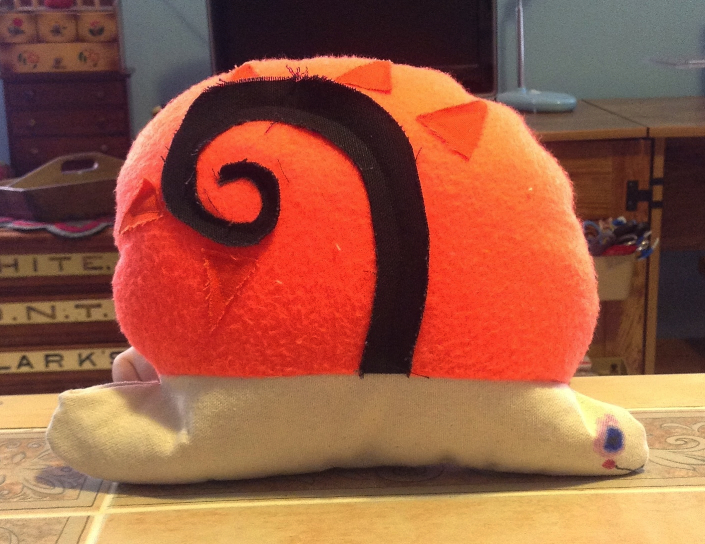 Next on the agenda is to make the snail a pair of pajamas, again based on my son’s design. This entry was posted in Dolls and Softies, For Kids, Miscellaneous. Bookmark the permalink. I want to see the pajamas on the snail, please. Very cute from R&D to production a final project. I love that your child has the chance to be so creative without restrictions. This is utterly charming! Way to go, kiddo!